In May I posted Ballard Rents – Don’t Believe the Hype! in which I gave my thoughts about the rent situation in Seattle. Although I am still confident that the near vertical increase in rents is about to come to an end, it might just be a brief pause before rents continue to gradually rise. Seattle is between Vancouver, BC and San Francisco, CA. Two cities where the rents are higher. I don’t know much about Vancouver, but the cost of living in the Bay Area are very high compared to Seattle. 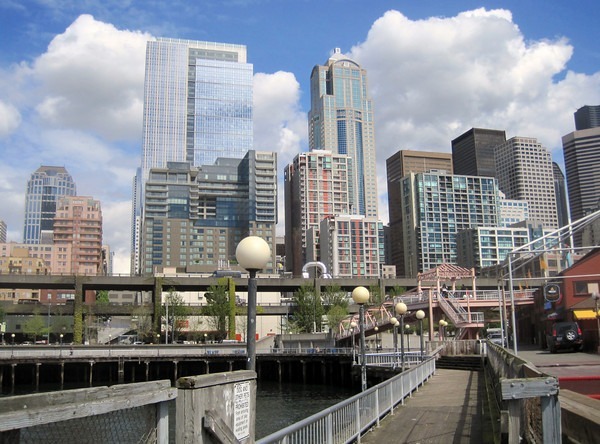 Seattle like the Bay Area is a technology hub. Not every city is a tech magnet, but those that are will have a higher demand for housing from those with high salaries. The problem with Canada and California is not only the high cost of living, but the taxes. Washington has no state income tax. This has and will continue to be a reason tech companies will migrate to Seattle. There are other states with no income taxes, but none that host a true tech city. Some say Austin has a growing tech presence, but it is not in the same league as Seattle. Plus it is friggin hot. When I look at a map of the United States and I try to pick out tech cities that don’t have a high cost of living or onerous taxes and with temperate weather, only Seattle remains. Throw in the University of Washington which is graduating more and more skilled computer engineers every year and you can see that Seattle might be undervalued, which means rents may very well rise even after the current demand shortage is met. 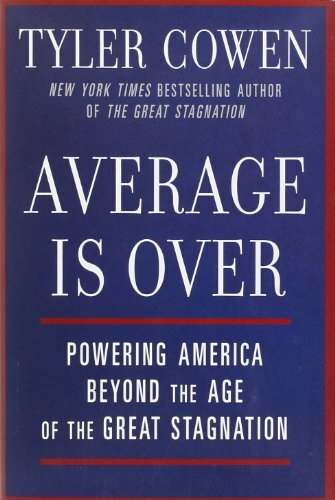 In the book Average is Over, economist Tyler Cowen made a prediction that certain cities where highly skilled workers live would become much more expensive and that there would be an economic migration where those not highly paid would move away. So much migration that in a generation, it might be seen as odd for someone with a low income to still reside in an expensive city. The prediction made sense to me, because lower skilled labor will increasingly be replaced via automation, computers and eventually robotics. We’ve already got robots that can flip burgers and machines that dispense burritos in 1 minute. This trend will not only continue, but accelerate. What I didn’t consider was just fast it would start to happen. The economic migration has already begun. The article Affordable Housing Draws Middle Class to Inland Cities goes into detail how the fastest growing cities in America are not the ones with most job opportunities for high wage earners, but places where the cost of living is low and housing inexpensive. What Cowen articulates in his book is how the most important factor in deciding where to live is how much you have left in your paycheck once your bills are paid. Those with higher incomes will migrate to cities with other people with high incomes and enjoy the culture and entertainment opportunities it brings. Those without will move mostly South where their lower salaries go a lot further. Seeing Seattle in this light, I now believe it will be one of those cities where the cost of living will be high. UPDATE August 19, 2014: TechCrunch has an article supporting my view that Seattle is the non-Silicon Valley tech city. But yes, I agree with your analysis – Seattle rents are just going to keep climbing! I want to clarify something. I think Seattle rents will go up RELATIVE to the rest of the country, but not necessarily in ABSOLUTE terms. Meaning if interest rates were to jump and rents across the board leveled off or even dropped, then Seattle would stay higher compared to a national average.